234 p., 16,4 x 23,4 cm. Schelling’s natural philosophy is a unique phenomenon in classical German philosophy. It alone attempts, by radicalizing Kant’s critique of teleological judgment, to deal philosophically with the »real, being nature,« in which we ourselves are included. 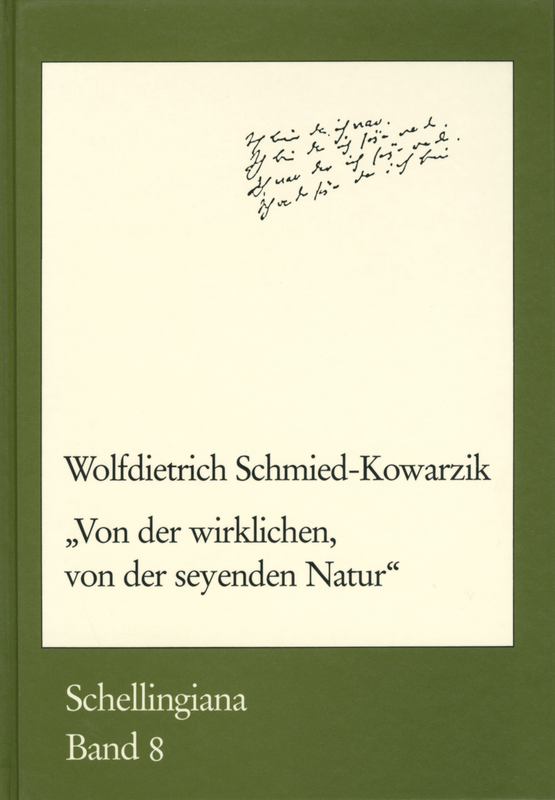 Confronted with the problem of rethinking our relationship to nature in view of the gradual destruction of the biosphere, human beings are beginning, and rightly so, to remember Schelling’s natural philosophy once again.